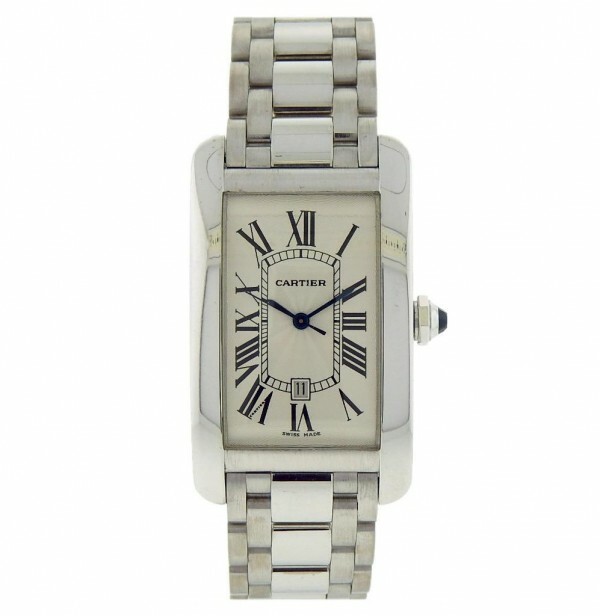 Own this beautiful Cartier Tank Americaine watch and enjoy its large White Gold case with Silver dial displaying date at 6. 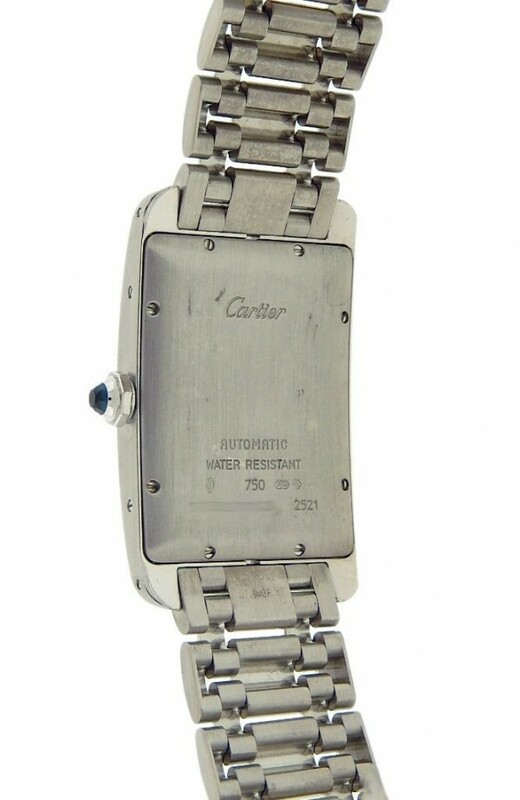 Watch is pre owned and gentle signs of usage on the case and bracelet. Watch is a great piece that picks up on compliments. 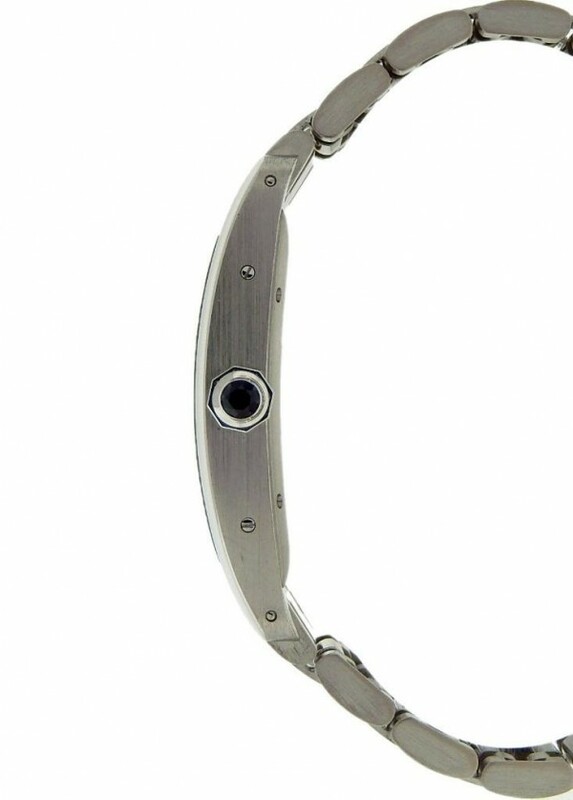 Watch would fit up to 7 inch wrist.